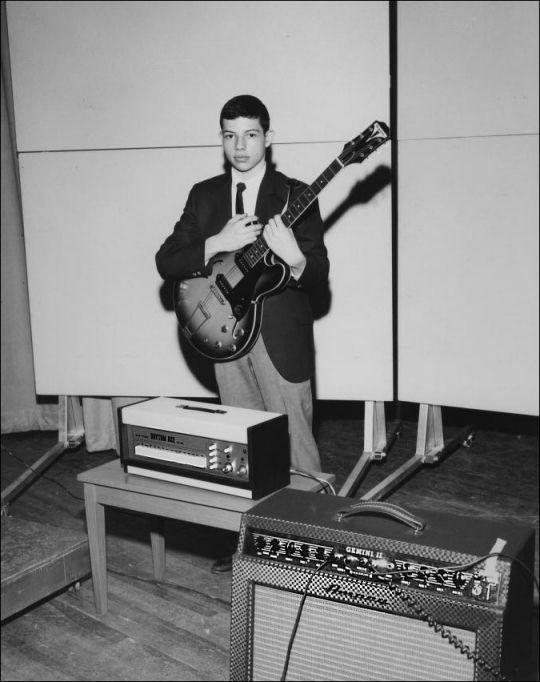 I started playing my father’s guitar for fun in 1963, but in 1964 the Beatles hit the US and that was that. Everybody bought guitars, and my parents bought me a beautiful 1961 Epiphone Casino. I formed a band with some friends and we played mostly Beatles and Ventures songs. 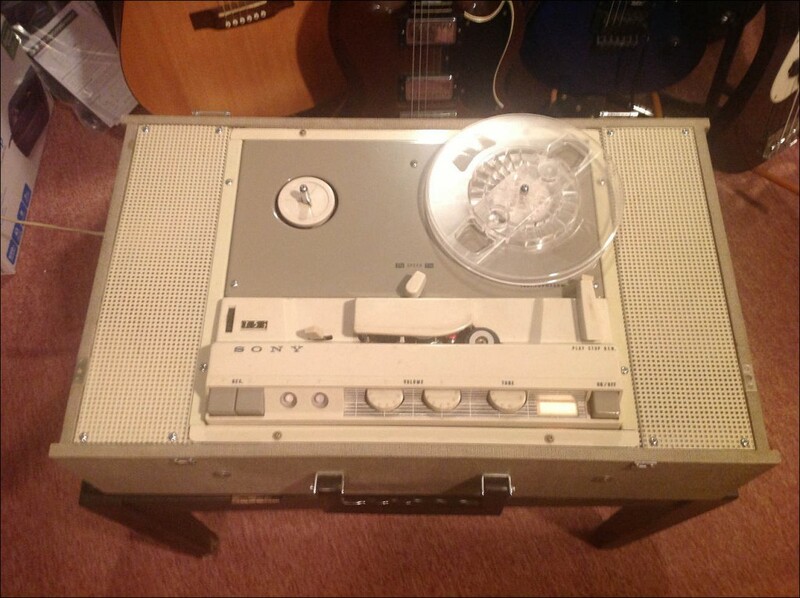 I wrote my first song and, with a friend also playing guitar, recorded it on my first tape recorder – a Sony 464-CS. This was a consumer machine with two heads, average specs, and two built-in speakers, one on each side of the cabinet. For a 12-year-old, it was magic. 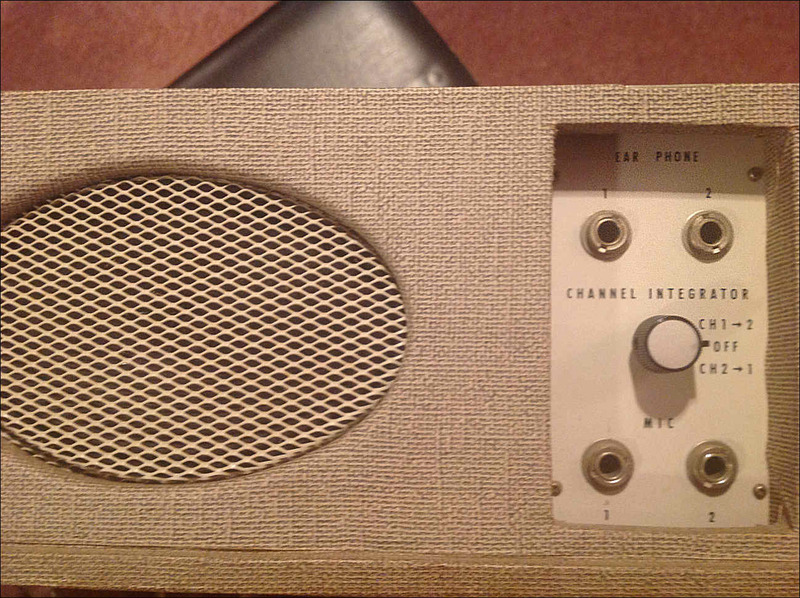 But the real magic was the “Channel Integrator,” a switch with three positions: CH1-2, OFF, and CH2-1. This was the “sound-on-sound” feature – the keys to the kingdom, the gateway to the universe. This feature enabled you to record a musical part on Channel (actually track) 1, and then, by setting the switch to CH1-2, copy the part on Channel 1 to Channel 2 while simultaneously recording another musical part. This gave you two parts on Channel 2. By flipping the switch to Ch2-1 you then copied the two parts on Channel 2 back to Channel 1 while adding a third part. The balance between the recorded parts and the live part was adjusted by using the separate volume controls for each channel. One of my first sound-on-sound recordings was a backup track I could use to practice my lead guitar riffs (all five of them). I recorded a rhythm guitar part on Channel 1 and then wanted to use sound-on-sound to add a bass guitar sound. I didn’t own a bass guitar yet, so I used the bass pickup and turned the treble all the way down on the Epiphone, producing a Bill Wyman baritone guitar effect. I now had two parts on Channel 2. I wanted to add drums, but now there were two problems – I didn’t yet own a set and, even if I did, I didn’t know how to play. So I did what any 12-year-old would do and took two coffee cans – a plastic covered one for the bass drum, and a metal covered one for the snare – and combined them with my high-hat cymbal – built with pieces from an erector set. My drumsticks were two wood dowels. Lots of playing and lots of recording experiments later. I spent hours recording songs that were popular at the time – “Satisfaction,” “Just Like Me,” “Time Won’t Let Me,” etc. I had no idea what I was doing, but I learned through trial and error. My parents bought a Hammond organ (not a B3, but an E133 in stunning French Provincial) which had reverb and a “cymbal” sound (essentially filtered noise) playable on the pedalboard. It did have the drawbars and percussion, so it was great fun. You can hear the Hammond “cymbal” backing up the cans drum set in this next demo. For this I was able to borrow a friend’s echo unit and, at last, a bass guitar. With sound-on-sound recording, the first tracks lose their clarity, so I learned to record the first few tracks with a lot of treble, knowing that the sound would mellow out after a few generations of copying. I also discovered the “clean” sound produced by plugging the guitar (and the bass) directly into the mic input. You can hear this sound on the guitar part doubling the bass line. It sounds much brighter than the guitar solo miked from my Ampeg Jet amp. 1967 was a big year in contemporary music (more on that below). 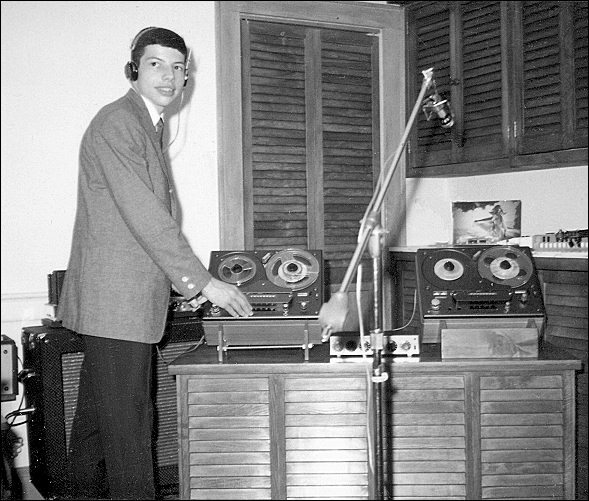 I had been giving recording demos to several of my father’s musician friends (one of whom was the great jazz bass player Arnold Fishkind). Someone said that I should put together a presentation about this recording technique since so few people knew about it (at the time). 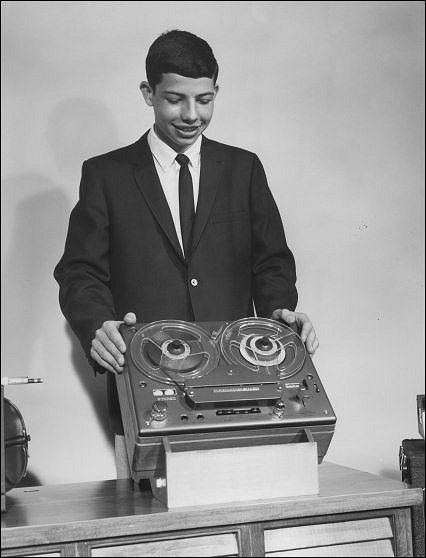 In January of 1967 my father and I walked into Electronics Unlimited (a hi-fi store on Sunrise Highway in Merrick, NY) and asked the salesman for the best tape recorder with sound-on-sound in the store. The salesman was a most dour man named Ray. He never smiled, but after an exhaustive two-minute demo he sold us a Tandberg 64X for $448.80. I fell in love with the 64X and recorded constantly. One of the first songs I recorded on it was a song from my “youth” – Walk Don’t Run. As you can hear, the sound quality is much better with the Tandberg. The can drums have been replaced by my new Ace Tone FR-1 Rhythm Ace drum machine. In addition, I also played acoustic drums – the drummer in my band would sometimes leave his kit at my house and I practiced on them. 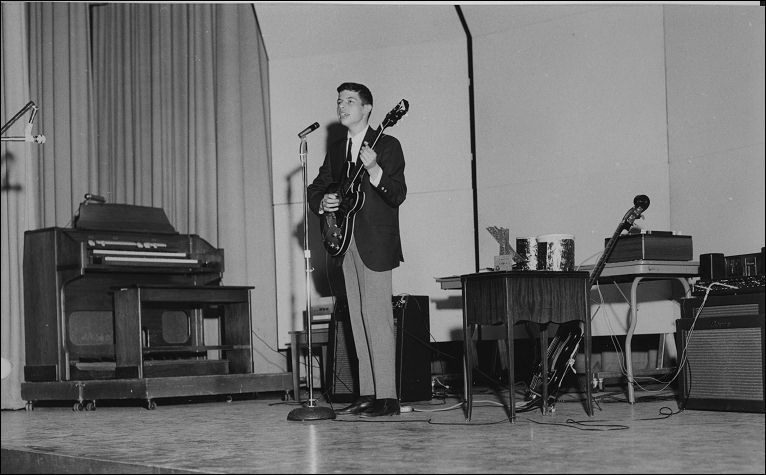 One day my father made a gutsy move – he told the Dean of Students at his school about me, and she said something like, “Well let’s have him play for our students,” and she scheduled me for an assembly program. There is nothing like a deadline. 1967 – into the fire. 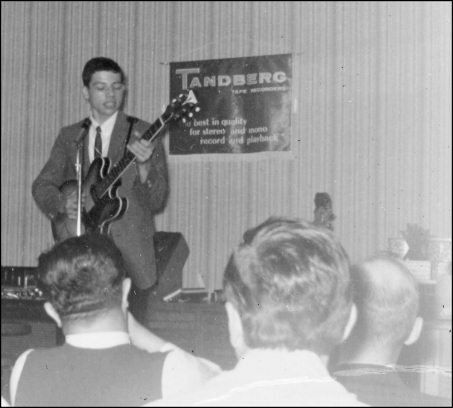 A few months later one of my father’s musician friends suggested that we contact Tandberg to see if they might be interested in sponsoring my performances. I had already done several performances at other schools and had gotten some nice press in Newsday and in other local papers. Tandberg’s US office was located in Pelham – not very far from Long Island. We contacted them and were connected with Bob Bowman. Bob came to one of my performances, after which he booked me for the Tandberg exhibit at the New York Hi-Fi show in September at the Statler Hilton hotel (directly across from Penn station). This was my first “gig” in the city as well as my first trade show. I was blown away by the size of the crowds as well as by the seemingly endless rooms full of the newest equipment. Part of my payment for the show was a new 64X. It took me a few months to realize that, with two machines, I could create stereo sound-on-sound recordings.